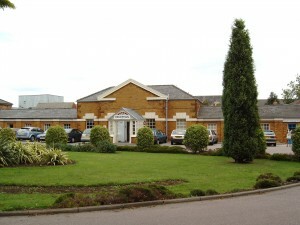 SPECIALIST MENTAL HEALTH CARE HOME IN BUSHEY, HERTFORDSHIRE. This high-dependency care home in Bushey, provides specialist support for people with mental health problems. It is a high-category hospital facility offering round-the-clock support to a limited number of service users. The specialist unit helps people who are dealing with varying levels of mental illness. On site, residents live semi-independent whilst receiving specialist care from trained mental health workers. During their stay, intensive support and day-to-day care is offered by professionals at all times. The project’s focus was to create a number of specialist flats within the mental health care home facility in Bushey, Hertfordshire. Fitted out to a high specification, designers had to give careful consideration when creating a safe new place for users and staff. Inside the home, residents’ bedrooms had to comply with strict safety measures as patient welfare was paramount. The newly-refurbished residential complex reopens later in 2019, after the year-long building project. On every new external window, tilt-only magnetic blinds were supplied to Window Care Herts Ltd from BetweenGlassBlinds. As an increased safety measure, these integral blinds were fitted between specially-toughened, clear laminated glass. BetweenGlassBlinds worked with the team at Window Care Herts Ltd, to ensure the magnetic blinds could function smoothly through thicker glass and technicians from both companies visited the project to make bespoke, on-site adaptations to the integral blinds. The magnetic blinds are operated with a neat and unobtrusive sliding magnetic block which is located around the perimeter of the unit. This means the blinds work on a completely cordless system. On this project, in a bid to keep residents safe, BetweenGlassBlinds was asked to make the magnetic block detachable so only staff could operate the blinds and patients could be protected from any unforeseen dangers. This was a simple task for the technical support team at BetweenGlassBlinds. The tilt-only magnetic blinds, locked between the two panes of glass, protect blinds from dirt, damage and grime – making maintenance and upkeep very simple. 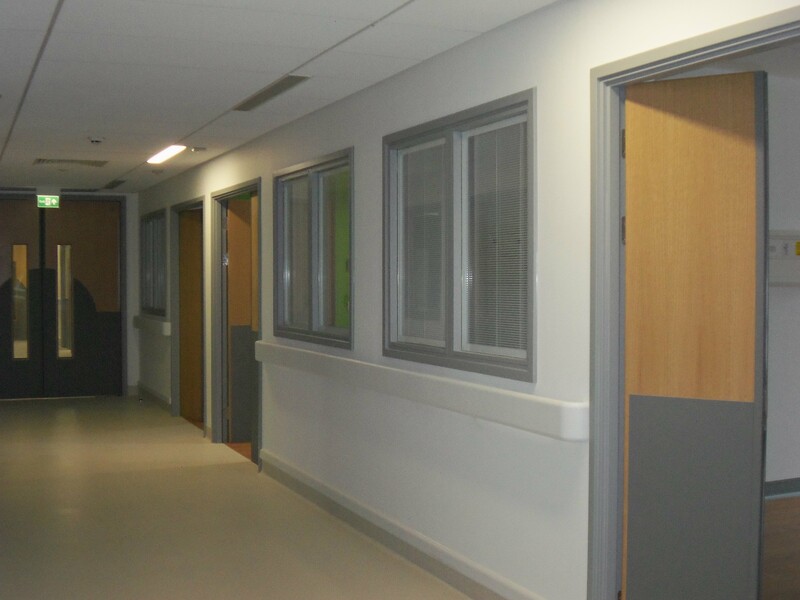 In healthcare establishments, like hospitals or specialist care units, these provide the perfect solution when privacy is needed and for infection control concerns that non-integral blinds can present. 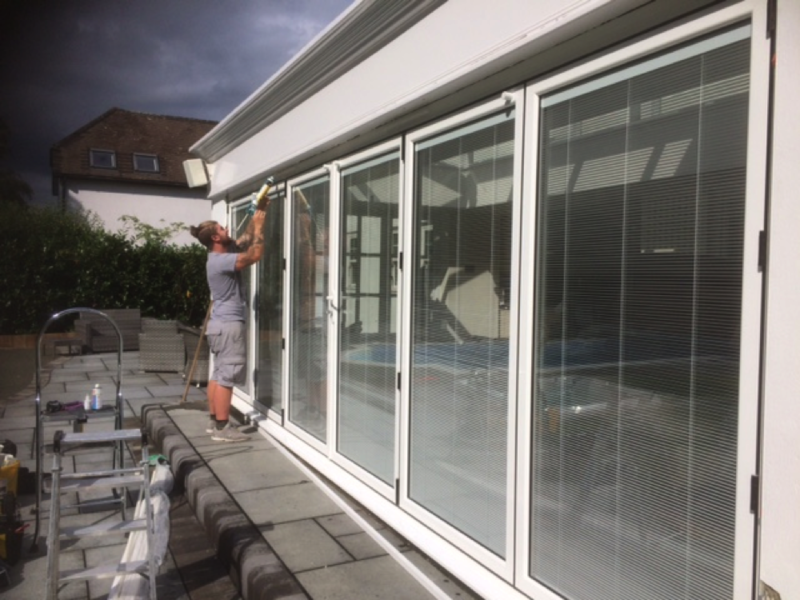 Paul West, managing director of Window Care Herts Ltd, which is based in Stevenage, was extremely pleased with the products supplied from BetweenGlassBlinds. He says the team at BGB are professional and supportive and the technical staff are full of knowledge. Paul says: “This project was complex, but we were really pleased with the finished work. We were there to fit windows and doors at the site, but our brief was complicated further when we were asked to adhere to greater safety requirements. “The glass had to be specially-toughened laminated glass and that meant the magnetic blinds needed some adaptations. None of these issues caused us a problem – mainly thanks to BGB and its team of technical staff. “They visited the site and worked alongside us so we could complete the project without any issues. I was very impressed with BGB. “Over the years I have worked with other companies who provide blinds that fit between glass, but we’ve never received this kind of expert service. 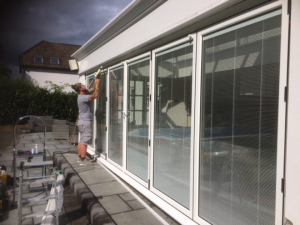 “BetweenGlassBlinds was absolutely excellent and I’d like to praise the technical team for supporting us on this project. “It’s always very much appreciated when you receive such superb service. It’s something you really don’t forget. 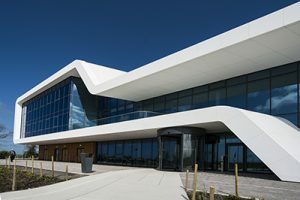 The Menai Science Park in Anglesey opened in March 2018, and brings together businesses from the ICT, low carbon and energy sectors. Owned by Bangor University, the aim is to provide a supportive environment to help firms grow and bridge the gap between cutting edge academic research and business. Menai Science Park (M-SParc) is a £20m development hosting state-of-the-art laboratory, workshop space, office and meeting rooms. 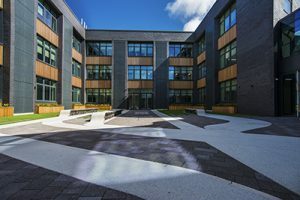 The 5,000m2, three-storey park is a collaboration between Welsh Government and Bangor University and aims to encourage business growth, innovation and entrepreneurship. Its vision is to drive knowledge-based science linked to research expertise and become a catalyst for innovative ideas in the area. The park’s 30-year plan is to create highly skilled jobs for local people and develop a knowledge-sharing hub in sectors such as low carbon, ICT, energy and environment. Following its launch last year, several businesses have already chosen M-SParc as their North Wales business base and over 100 people now work on the site. The project’s focus was to create a series of bespoke offices, laboratory and workshop space for up to 700 people. Inside, careful consideration had to be given to providing potential tenants with adequate lettable space – which was aesthetically pleasing to new businesses in Anglesey. At the same time, designers had to create 45 different office spaces which offered the right level of privacy. This was achieved using specialist side screens. 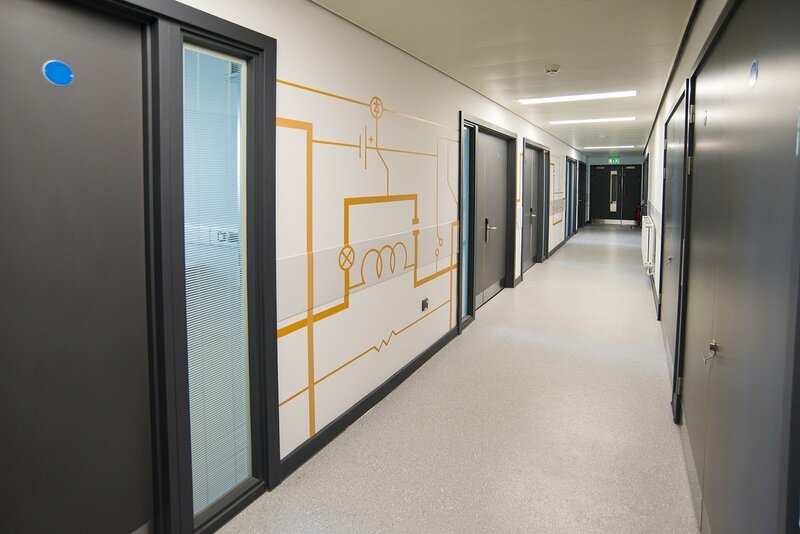 More than 100 BGB magnetically-operated, tilt-only units were supplied to Fire Doors for the project at the Menai Science Park. Maintenance-free, these integrated blinds are ideal in any office environment – making them a first choice for modern projects. 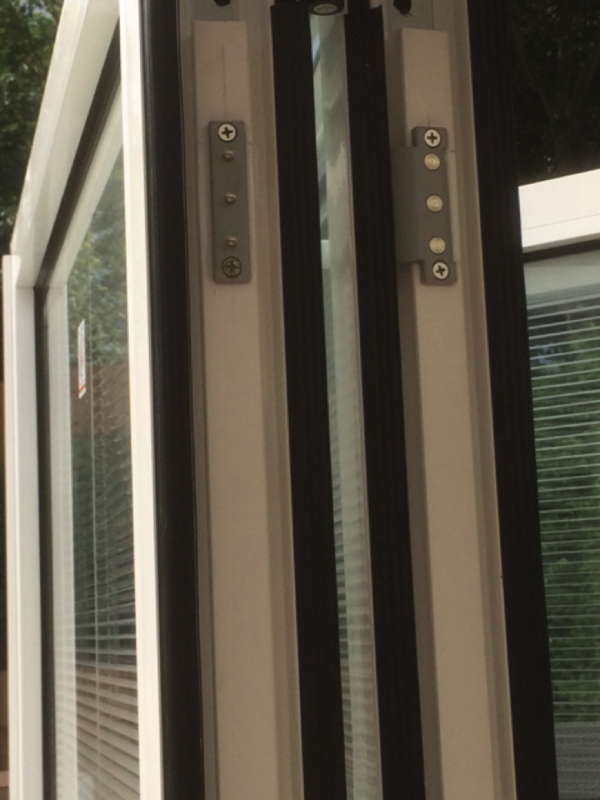 The BGB units are sealed between two panes of glass with specialist magnetic controls. They are operated using neat and unobtrusive sliding magnetic blocks which are located around the perimeter of the unit. The magnets control the operation of the blinds with ease, allowing the operator to tilt the blinds in one slick and easy motion. This gives office users full control when privacy is needed. The magnetically-operated blinds can also reduce glare and sunlight. As part of the £20m project, a range of units including FD30 and FD60 were used. Some offices and meeting rooms were also fitted with acoustic glass to improve sound reduction for added privacy. Emily Roberts at Bangor University, was delighted with the products supplied from BetweenGlassBlinds. She says: “M-SParc is one of the first science parks in Wales and it needed to be cutting edge. 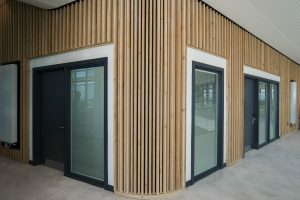 Chris King at Fire Doors, which has an office base in Derbyshire and a manufacturing plant in Wales, says: “When we became involved with the project in Anglesey, it was specified that BetweenGlassBlinds would supply the magnetically-operated, tilt-only units at the Menai Science Park. The Fortius Group is the UK’s largest single orthopaedic and sports injury medicine group in the UK. The project involved the creation of a new surgical centre with pre and post-op facilities and three ultra-clean theatres, across two floors behind a retained Georgian façade in Bentinck Street, in the heart of Marylebone, Central London. Maquet, part of the Getinge Group, were the primary equipment suppliers and the management contractor on the project. Frank Shaw Associates were appointed as the architects who developed the design for the Fortius First Surgical Centre, as well as achieving a BREEAM ‘Excellent’ rating, which is the highest sustainability credential. The project focussed on high quality environment through careful spatial planning, lighting and materials and the patient experience from arrival to departure was a key project driver. The original windows on the Georgian property were noticeably worn, along with allowing a considerable draught and high levels of noise ingress. The building fell within a conservation area which meant the façade had to be preserved, thus making the project a little more challenging when attempting to create an environment fit for purpose and aiding in patient recovery. The project saw the introduction of secondary glazing to the front elevation of the building by company Selectaglaze, doing this enhanced the acoustic performance and thermal retention of the primary glazing. Between Glass Blinds are noted for their innovative, versatile and maintenance-free integrated blinds which are ideal for healthcare environments. 30 BGB Magnetically operated, Tilt only units were supplied to Selectaglaze, housed inside their flush-frame, side hung casements. Between Glass Blinds Integrated Venetian blinds were supplied to Selectaglaze for the Fortius Clinic project. 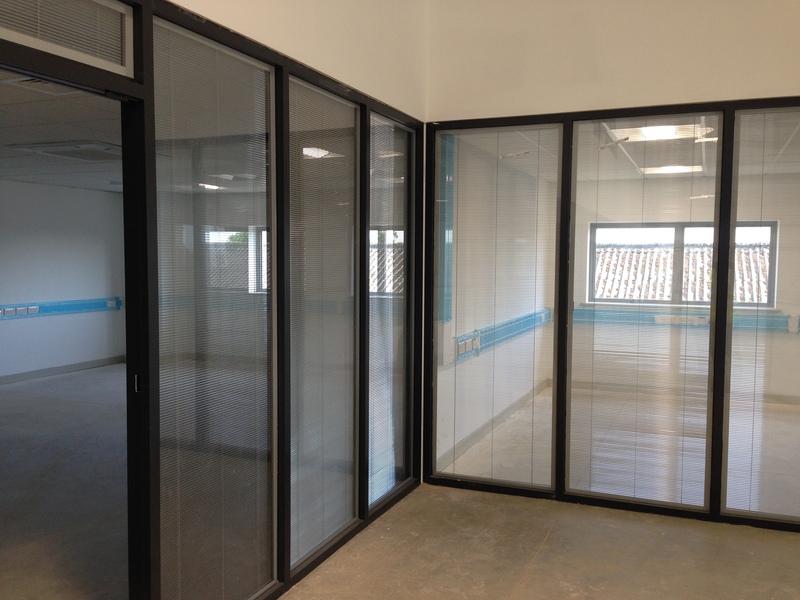 BGB units are hermetically sealed between two panes of glass with magnetic controls to avoid an “infection bridge” into the glazing gap, which protects the blind from damage, dirt and grime. Meaning the blind is hygienically excellent, meets the requirements for clinical infection control, never needs cleaning and is completely maintenance free. Between Glass Blinds magnetic units are completely cordless and operated via powerful, neat and unobtrusive sliding magnetic blocks located around the perimeter of the unit. The magnets control the operation of the blinds with ease, allowing the service user to tilt the blinds in one slick and easy motion with its functional and stylish design. This gives the patient full control when privacy is needed or to reduce glare and sunlight keeping the room at a more moderate temperature. The installation was a success and the thermal and noise enhancements can already be noticed in the rooms. “Whilst searching for a relatively local manufacturer of integral blinds we came across Between Glass Blinds. After reviewing their website and speaking with them we were happy that their product would be a great fit on the Fortius Clinic project. “The high level of technical support and advice provided by BGB was greatly appreciated, as was their customer support and communications. Our Production Team have always provided positive feedback in relation to the deliveries and quality of the Between Glass Blinds units. Altnagelvin Hospital is the main hospital for the North West of Northern Ireland. It provides services to the city of Derry as well as County Londonderry, and offers the most comprehensive medical services outside Belfast in Northern Ireland. The £73.5m project at the Altnagelvin site will incorporate six inpatient ward areas, a new main entrance to the hospital and relocation of the car parking facilities. The Altnagelvin project will see the construction of a new North Wing Ward Block to replace the ageing tower block wards and major upgrade works to Day Surgery Theatres. 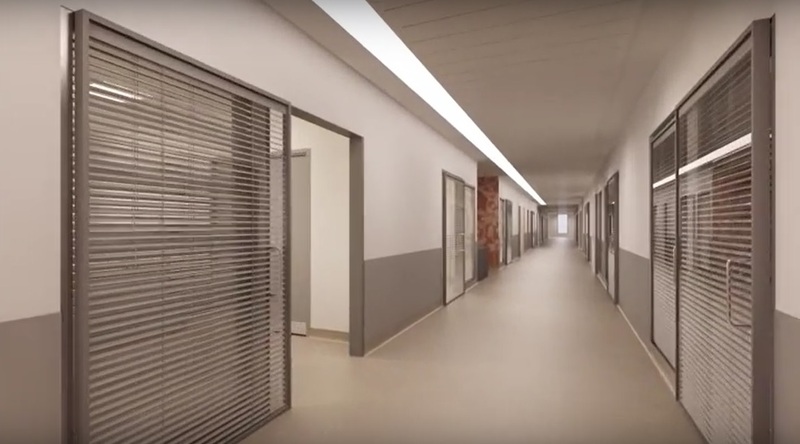 The North Block development is located within the heart of Altnagelvin Hospital, and will provide circa 14000m2 of new inpatient ward accommodation, including 144 single occupancy bed spaces and associated ward support facilities. The North Wing building is scheduled to complete in December 2019. An additional project is also underway to provide new Day Surgery Theatres at Altnagelvin Hospital. This separate £3.3m project, which is planned to become operational from January 2018, will involve the refurbishment of existing theatre space and redesign of services. It will provide additional day case theatre capacity to address immediate theatre pressures. The new facilities are important to ensure that patients have access to high quality health care delivered in a modern clinical and therapeutic environment. BetweenGlassBlinds are noted for their innovative, versatile and maintenance-free integrated blinds which are ideal for healthcare environments as they meet the requirements for clinical infection control. The blinds also allowed the user full control of privacy.  Conventional blind systems were deemed unsuitable for the project because they gather dust and dirt and require regular cleaning, they are damaged easily therefore not providing a satisfactory life-span and they do not meet the requirements for clinical infection control. It was decided Venetian blinds had to be integrated into the doors for infection control and to avoid expensive cleaning and maintenance so AXIS-Automatic contacted Between Glass Blinds, whom they’d used and been impressed with on previous hospital projects. The Between Glass Blinds integrated blinds are hermetically sealed between two panes of glass with magnetic controls to avoid an “infection bridge” into the glazing gap, which protects the blind from damage, dirt and grime. Meaning the blind is hygienically excellent, never needs cleaning and is completely maintenance free. Over 130 Between Glass Blinds Tilt only panels were supplied on the project. Around 90 of the units were motorised, these were supply only to AXIS Automatic and were fitted into bedroom doors. Between Glass Blinds motorised units are the first patented system with wireless actuator with magnetic transmission, they don’t require hard wiring and are applicable to any thickness of glass. The remaining 40 Between Glass Blinds tilt only units were magnetically operated, these were supply only to CW Fields on the project and were fitted in to screens. Between Glass Blinds magnetic units are completely cordless and operated via powerful, neat and unobtrusive sliding magnetic blocks located around the perimeter of the unit. The magnets control the operation of the blinds with ease, allowing the service user to tilt the blinds in one slick and easy motion with its functional and stylish design. This gives the user full control when privacy is needed or to reduce glare and sunlight keeping a room at a more moderate temperature. The new £212 million hospital will provide 344 single-bed en-suite rooms, which boast to be the largest single rooms in Scotland and feature floor to ceiling windows and an integrated nurse calling system. The development will also house a combined assessment unit to manage emergency cases and bed allocation, theatres complex, critical care unit, women’s and children’s unit and outpatients department. The facility under main contractor Laing O’Rourke is set to open in December 2017. The single bedded rooms were chosen due to a number of clear advantages, one of the key advantages of the single rooms is that it helps to promote privacy and dignity and enables staff to undertake personal care within a confidential environment. The single rooms also allow a reduction in cross-infection and helps to reduce levels of noise and disturbance for patients. The most advanced technology, integral to the facility, will enable efficient and effective diagnostics and treatment for every patient. Staff will work in an environment that will enable them to maximise putting their skills, expertise and experience into practice to deliver the highest standard of care for patients. Construction on the hospital began in March 2015 and will replace the original Dumfries and Galloway Royal Infirmary, built in 1975. 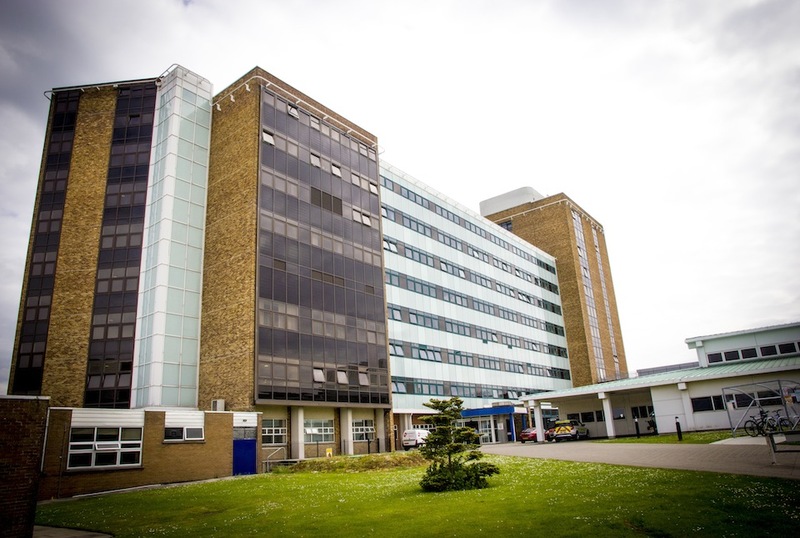 Permission has now been granted by the Royal Naming Team to transfer the name across to the new building and once construction is complete and the new facility open, the old hospital will be demolished. The doors specified on the Dumfries project were AXIS-Automatic Flo-Motion doors, these were specifically designed for the new Alder Hey Children’s Hospital to provide user friendly, full width, glazed bedroom and ward doors and their designed met all requirements for the Dumfries & Galloway Infirmary development. Flo-Motion® doors feature recirculating ball guides on a special low resistance linear track with a damper mechanism. The door sets are fabricated using extruded aluminium profiles and include a self-supporting “goalpost” frame. Ordinary blinds and curtains were not deemed a practical solution, it was decided Venetian blinds had to be integrated into the doors for infection control and to avoid expensive cleaning and maintenance so AXIS-Automatic contacted Between Glass Blinds, whom they’d used and been impressed with on the project at Alder Hey. The Between Glass Blinds integrated blinds are hermetically sealed between two panes of glass with magnetic controls to avoid an “infection bridge” into the glazing gap. Both stylish and contemporary in appearance, the venetian Between Glass Blinds are easy to maintain with the blinds contained within the sealed unit safe from dust and dirt, BGB units were the ideal shading and privacy glazing solution for the project. The hospital is due to be handed over to NHS Dumfries and Galloway next month (September 2017), and is expected to open to the public by the end of the year. St Monica Trust services promote independence, dignity and fulfilment and the Trust regularly sets benchmarks for the very best practice in the care and support of older people. The charity was founded in 1925 and now they run four retirement communities and a successful care at home service. With award-winning village accommodation, care homes, specialist short term care facilities, domiciliary care and dedicated dementia facilities, the Trust is a vibrant, innovative organisation. The latest retirement village from St Monica Trust has been aptly names The Chocolate Quarter. 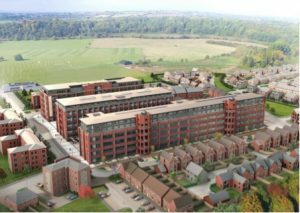 The £60 million pound development situated in the historic market town of Keynsham, is due to open in summer 2017. It will be home to 140 assisted living apartments and a 90-bed care home, as well as office space, retail outlets and leisure facilities. Originally the home of Fry’s Chocolate treats, the grand 1920s iconic buildings have been refurbished to maintain their landmark status next to the River Avon. The high specification and excellent craftsmanship throughout offer a smart finish and high quality as standard. Full height windows show off the breath-taking country views and give a contemporary finish to an historic building. There is also be a care home incorporated within the extensive complex to provide the very best level of nursing care for those more vulnerable residents. BetweenGlassBlinds are noted for their innovative, versatile and maintenance-free integrated blinds which are ideal for Healthcare and Care Home facilities. BetweenGlassBlinds are a leading manufacturer of double-glazed units complete with fully integrated Venetian and pleated blinds hermetically sealed between two panes of glass. Both stylish and contemporary in appearance, easy to maintain with the blinds contained within the sealed unit safe from dust and dirt BGB units are the ideal shading and privacy glazing solution. An ideal alternative when other types of blind and curtain are not practical or achievable. A truly versatile, user-friendly and discreet double-glazed integral blind system suitable for installation both internally and externally. BGB supplied 90 hardwired motorised blinds, specifically for the care home, on the project for St Monica Trust which were specified by KWL Architects and Andrew Wilson Partnership. 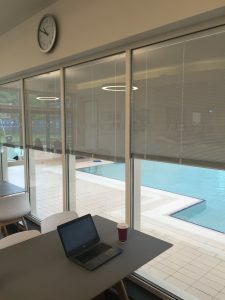 The supply only motorised blinds allow the user full control when privacy is needed or to reduce glare and sunlight keeping a room at a more moderate temperature. The stylish design sees the blind sit inside a hermetically sealed double glazed argon filled unit, which protects the blind from damage, dirt and grime. Meaning the blind is hygienically excellent, never needs cleaning and is completely maintenance free. BetweenGlassBlinds state-of-the-art motorised integral blind systems are powered externally with nothing attached to the glass surface giving a more sleek and contemporary finish. Motorised blinds offer the ultimate in safety and convenience, easily controlled by a hand-held remote or interfaced with an automation system. With motorised blinds, the slats move simultaneously in all windows and are positioned at the same angle, thereby creating a calm and harmonious façade. The new Spire healthcare development on the edge of Didsbury, next to the Siemens building on Princess Parkway, has replaced the Spire centre in nearby Whalley Range and is part of bigger plans to make Manchester a global capital for healthcare. The £65m state-of-the-art facility will offer patients a wide range of surgical, medical and diagnostic services. 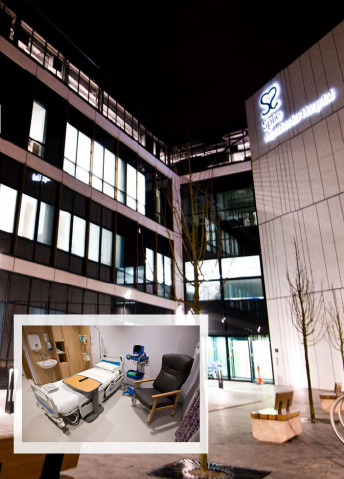 Designed with extensive input from consultants, staff and patients, this facility comprises six operating theatres, 76 patient beds (inpatient and day-case) and 23 outpatient consulting and treatment rooms. There were a total of 46 tilt only units supplied internally on the Spire Manchester Hospital project. The BetweenGlassBlinds Tilt only panel offers a standard integral blind system with the ability to tilt the slats from open to close. After years of planning, the brand new Heston Pools and Fitness facility in Hounslow has opened its doors to the public. Consultations on the £13.5m site – a partnership between operator Fusion Lifestyle and the London Borough of Hounslow – first began in 2012 as the two partners explored ways to replace the ageing Heston Pool, which dated back to the 1930s, and is coming to the end of its functional life. Swansea Stadium Management Company, in conjunction with OSTCFX, recently announced the unveiling of their new Hospitality Suite which will be known as the OSTCFX Suite. 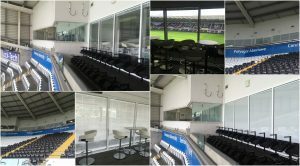 The development of the suite took place over the summer months and was launched, along with the partnership, in advance of the 2016/17 Premier League football season and Guinness Pro12 Rugby season. Plans for the new £449m “world class” Royal Liverpool University Hospital development are well underway with Carillion heading up the construction project. Work on the 12-storey Royal Liverpool Hospital started in February 2014. The new hospital is expected to open in summer 2017 and will contain 646 beds, all in individual en-suite rooms, spread across 23 wards. There will be a 40-bed critical care unit and 18 operating theatres. The NHS is stumping up £124m of the £335m price tag for the new hospital and the rest of the cash will come from private sector investment. Another £94m will be spent on a new multi-storey car park, equipment and the demolition of the old site. Royal Liverpool and Broadgreen University hospitals NHS Trust said it would be the largest hospital in the country. Between Glass Blinds were approached by European Doorsets (EDSI) who were selected by Carillion following a tender process with several other companies. European Doorsets, who had worked with BGB on a number of occasions and rated their integrated blinds highly, contacted Mark Nash, Director at BGB to discuss the 750 units required for the project. BetweenGlassBlinds offer the most advanced range of integral blind systems on the UK market. Their range of systems provide users with a maintenance-free totally integrated privacy and shading solution without any bulky and intrusive operating mechanisms mounted on the glass surface. Their manually operated integral blinds were specified for the Liverpool Royal Hospital project project due to their reputation within the marketplace, along with the longstanding relationship they had with European Doorsets (EDSI). Their magnetic integrated blind systems are controlled by two discreetly hidden powerful magnets located around the unit perimeter. The magnets control the operation of the blinds with ease, allowing you to raise, lower and tilt the blinds in one slick and easy motion with its functional and stylish design. This gives the user full control when privacy is needed or to reduce glare and sunlight keeping a room at a more moderate temperature. Their innovative blind sits inside a hermetically sealed double glazed argon filled unit, which protects the blind from damage, dirt and grime. Meaning the blind is hygienically excellent, never needs cleaning and is completely maintenance free, making them the first choice for healthcare environments. 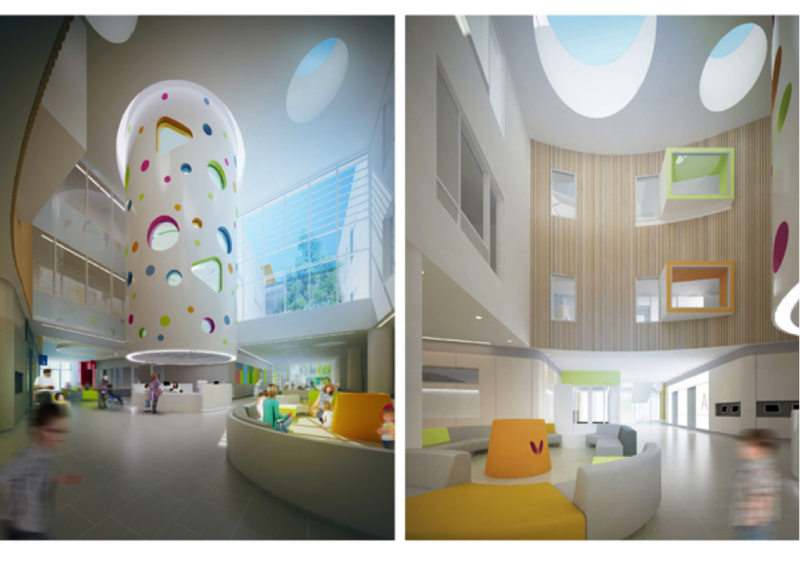 Sheffield Children’s Hospital has undergone a £40m redevelopment over the last three years to bring it up to modern standards. Construction work commenced in 2014 and completed in 2016 whilst the existing hospital remained in full use throughout the duration of the works. 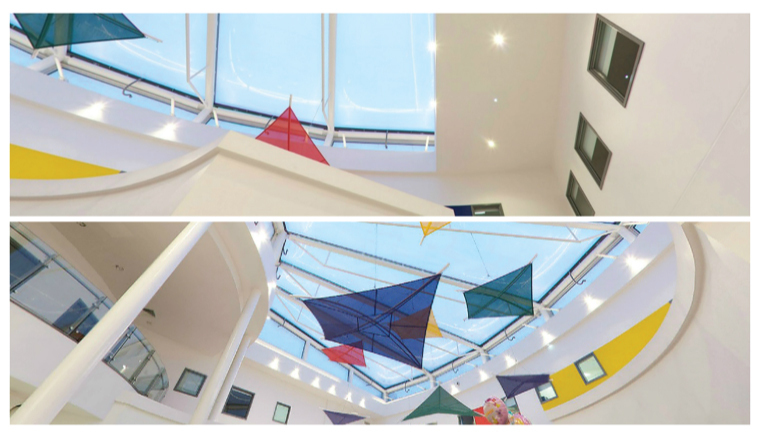 This important intervention, combines new-build and refurbishment to provide three wards and an outpatients department, around a dramatic triple-height main entrance atrium. The new building is a key move in the hospital’s vision for the future, helping to address a series of problems with the existing estate that impact clinical service delivery. The existing hospital is tightly constrained by surrounding roads and buildings, and has been developed in a piecemeal manner over more than a century, resulting in problems with clinical functionality, adjacencies, non-alignment of floor levels, fire safety, and a confusing and degraded internal environment. Improves the quality of environment enjoyed by all hospital users. The site is partially within a conservation area, and close to a number of listed buildings, including portions of Sheffield University. The existing frontage, however, is highly disjointed, creating a confusing and unattractive first impression upon arrival. A multi-controlled natural ventilation system (easily controlled by BMS, staff, or patient) is installed throughout ward areas. A bedroom window design has been developed with BetweenGlassBlinds enclosed adjustable blinds within secondary glazing, addressing infection control issues while facilitating ease of maintenance. Modular planning of ward and outpatient areas has been used to simplify the process of adaptation to new uses in future. Single bedrooms incorporate built-in furniture that accommodates functional requirements while looking homely and age-appropriate. E.g. careful design of the parent’s bed doubles-up as an informal seating area. An innovative ‘t’ shape plan for multi-bed bays ensures that all beds in a 4 bed bay area adjacent to a window/light/views and fresh air. Ward play areas are located within a ‘Play Tube’ suspended in the atrium, which both provides fun, non-institutional play space, and symbolically places children and play at the heart of the hospital. Artists have been closely involved in the design, creating memorable experiences and diverting environments that are fully integrated with functionality. New gardens and courtyards are created, and unsightly functions such as the service yard are relocated, benefiting users of both the new and existing buildings. The designs for the new build were done through a competition in which six nationally accredited architects submitted potential designs. These were assessed by a panel of 22, including staff, patients, parents, governors and directors, received presentations from the six companies and had the chance to quiz them on their designs. They then used a comprehensive system to score the designs on six main issues including patient experience, clinical functionality and design – the most important factors. Through a design strategy that wrapped a refurbished building with new construction, Avanti Architects design delivered more than the required brief of a new main entrance, outpatients department, specialist diagnostic and treatment areas, and wards: it created a complete new public face for the hospital. The design focused on delivering an exemplary environment for all users, while resolving the current convoluted circulation routes and level changes. Children and their families arriving at the hospital now enter through a light-filled atrium, at the heart of which is hung the sculptural ‘playtube’, which provides play space in a fun, non-institutional environment while locating children and play at the heart of the hospital. 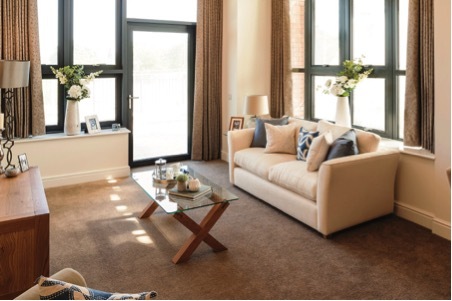 Ward areas have been carefully designed to deliver high standards of observation, natural light, and child-friendly interior design that is non-specific to age or gender. This transformation incorporates a 3 storey extension with basement car park, a new service yard to segregate service vehicles from patients & visitors, a new entrance to act as a focal point for the Trust and refurbishment of the existing department at two levels. This transformed state-of-the-art facility now provides 72 bedrooms, many of which are en-suite incorporating family friendly facilities. While searching for a suitable integral blind solution it was noted that the Trust required a number of units operable from both sides. BetweenGlassBlinds are noted for their innovative, versatile and maintenance-free integrated blinds which are ideal for healthcare environments as they meet the requirements for clinical infection control. The blinds also allowed the user full control of privacy, which was a priority. The supply only BetweenGlassBlinds Tilt only panel offered a standard integral blind system with the ability to tilt the slats from open to close. The blinds are controlled by two discreetly hidden powerful magnets located around the unit perimeter. The magnets control the operation of the blinds with ease and are fitted with a restrictor to prevent the magnets from coming detached from the panel. Other reasons for the decision to install over 54 two-sided operation BGB units and 100 standard BGB units on the project were that the stylish design sees the blind sit inside a hermetically sealed double glazed argon filled unit, which protects the blind from damage, dirt and grime. Meaning the blind is hygienically excellent, never needs cleaning and is completely maintenance free. 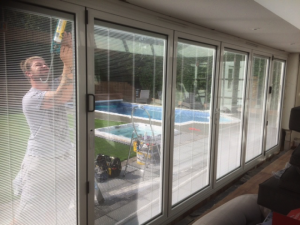 HOW DO YOU INSTALL MOTORISED INTEGRAL BLINDS IN A BIFOLD OR SLIDING DOOR? Having fully motorised integral blinds in a moving or window or door frame is something a lot of our customers have previously shied away from. The attractive thought of having BGB units in a bifolding or sliding door without a magnet or battery pack permanently sitting on the glass surface is often negated by the thought of looping cables from door-to-door and leaving exposed wiring between the profiles when the doors are open. We can offer a neat, tidy, relatively simple solution to this problem and now have a growing list of customers who have successfully hard-wired BGB units in to bifold doors. BetweenGlassBlinds can supply wireless contacts which are pretty simple to wire up and connect as well as being discrete and aesthetically good looking; sitting in the profiles between the doors to allow power to flow through the door when they’re closed. The doors can then open and fold up freely without any concerns over exposed cabling getting damaged or looking unsightly. The contacts are so neat you’ll hardly notice they are there as well as having spring-mounted prongs to ensure contact is maintained even allowing for a small amount of variance over time as the doors are open and closed. We can provide dimensions and wiring diagrams at the point of order making them simple for a qualified electrician to install and allowing the necessary wiring preparations can be made around the door frame prior to the door being installed. now to ask for a quotation or technical information. 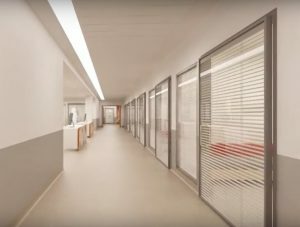 Their manually operated integral blinds were specified for the Peterborough City Hospital project due to their reputation within the marketplace, along with the longstanding relationship they had with RG Carter. The standard of workmanship and finish has been continually praised by the Trust, Independent Reviewer, hospital staff and patients. Nigel Hards, Peterborough &Stamford NHS Trust Chairman, said: “The Trust has a vision to grow into a major healthcare provider in the region and Peterborough City Hospital with its fantastic facilities is central to that goal. It is fabulous, a world-class building and we’re delivering world-class healthcare from it for our patients and our local communities. The supply only BetweenGlassBlinds Tilt and Lift panel instead offered a standard integral blind system controlled by two discreetly hidden powerful magnets located around the unit perimeter. The magnets control the operation of the blinds with ease, allowing you to raise, lower and tilt the blinds in one slick and easy motion with its functional and stylish design. This gives the user full control when privacy is needed or to reduce glare and sunlight keeping a room at a more moderate temperature. Peterborough City Hospital, is now regarded as the City’s most significant building project since the cathedral was built in 1238. 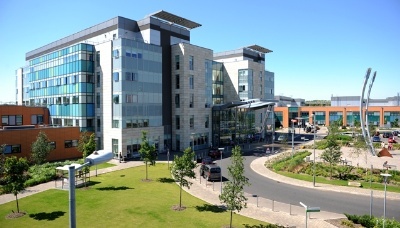 The healthcare campus features: a 612-bed, 22-theatre Major Acute Hospital; a 98-bed Mental Health Unit; a 39-bed City Care Centre; a multi storey car park; helicopter pad; hard and soft landscaping and highway works. The Acute Hospital encompasses specialist areas including; a Cancer Centre, Cardiology Centre, a Women and Children’s Unit and Adult and Pediatric Emergency Centre’s. The design of each facility is patient-focused to facilitate a good standard of care and also to promote a comfortable experience. Emphasis is placed on colour, views, natural light and artwork of a sensory-considered design. The windows are purposefully located to ensure green views are available where possible, otherwise Sedum roofing and courtyard installations have been established to enhance the vistas. Peterborough City is the first new-build hospital in the UK to pioneer innovative ‘Cruciform’ wards – four-bedded bays that create a large personal space around each bed and maximise the availability of daylight. 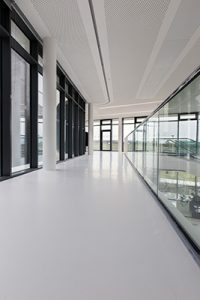 The diligence of Brookfield Multiplex, along with all of the other sub-contractors, in understanding and achieving the Trusts’ aspirations has resulted in a state-of-the-art hospital for Peterborough with numerous innovations, finishes of exceptional quality and a welcoming and user-friendly environment. The design of the new £18 million facility at Wrightington Hospital has been developed for client Wrightington, Wigan & Leigh (WWL) NHS Foundation Trust and is being undertaken by Integrated Health Projects (IHP), a joint venture between VINCI Construction UK and Sir Robert McAlpine, under the NHS Procure 21+ framework. While searching for a suitable blind solution with tilt functionality the Trust had some concerns, the specification was quite general for an integrated blind but the way in which they were operated was proving to be an issue. 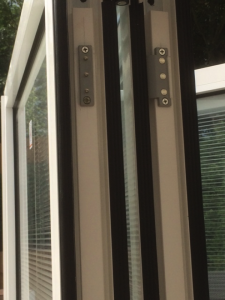 With most integral blinds a sliding magnet is used around the perimeter for operation but the Trust were concerned that the magnet would come off, causing problems. 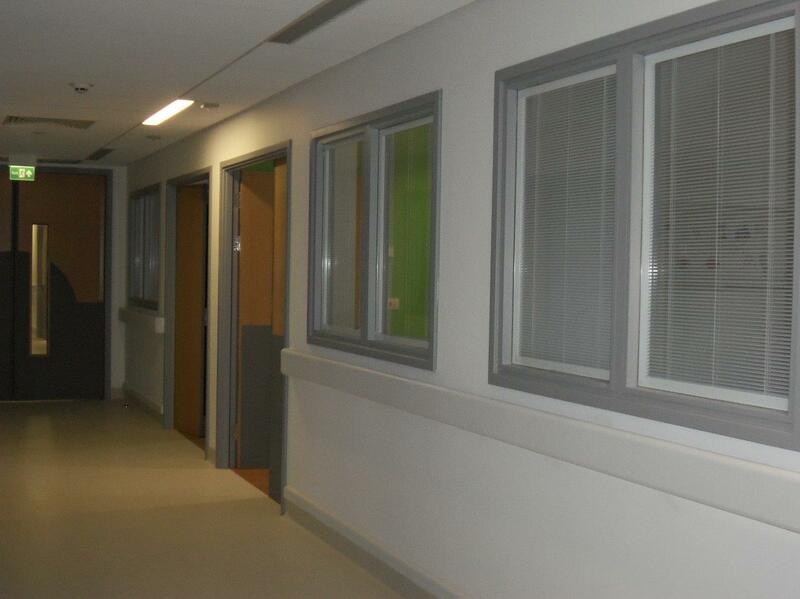 BetweenGlassBlinds approached Nick Smith, Commercial Manager at VINCI Construction UK and the WWL NHS Trust with a solution which met with the Trusts requirements, by incorporating a restrictor to ensure the magnet would stay put. BetweenGlassBlinds are noted for their innovative, versatile and maintenance-free integrated blinds which are ideal for healthcare environments as they meet the requirements for clinical infection control. The blinds also allowed the user full control of privacy, which in the new wards where patients will recover from Orthopaedic surgery, was a priority. The Welland Centre is a purpose built mental health inpatient centre that covers the population of Kettering, Corby, Wellingborough, Rushden and surrounding towns and villages. Fleet architects specified BetweenGlassBlinds for the project. 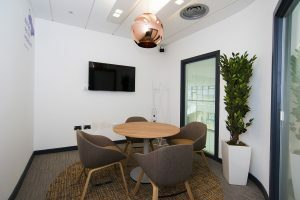 Fleet Architects of London were looking for a solution specifically for seclusion spaces that were anti-ligature, anti-tamper and generally reduced the ability for self-harm. BetweenGlassBlinds ticked all of those boxes. Another contributing factor was BGB’s links with Vistamatic. Vistamatic’s reputation for their market-leading products and their (anti-ligature) portfolio of work within the mental health sector was also influential in making the decision. BetweenGlassBlinds have recently completed a large installation of 52 blinds for a large residential project in North London. The team at BetweenGlassBlinds worked closely with the client in order to fully understand the customers’ needs and meet their specific requirements. BetweenGlassBlinds offer an innovative cordless integral blind system which is ideal for use in the home as well as in public buildings like hospitals, schools, offices and exhibition centres – as was recently the case at the ExCel Exhibition and Conference Centre in London. The system was the integral blind of choice when it came to selecting a suitable system for excluding light (when needed) to the newly refurbished ICC Auditorium and the London ExCel located in Docklands, East London which is the home of several major exhibitions including Grand Designs and EcoBuild. Some of the conferences that will be taking place within the Auditorium will require privacy and darkness where as others will be bright and benefit from natural light. The blinds were installed to help the venue to achieve this level of versatility whilst also giving the entrance doors a stylish and contemporary look. The tilt-only magnets operating the blinds are also discreet and the absence of a cord means they comply with all the health and safety regulations a public building has to abide by. Henley College Coventry is a vibrant college of further and higher education that provides training and apprenticeships for approximately 5,000 part-time and 1,600 full-time students. The College has been serving Coventry for fifty years, delivering a range of nationally-accredited skills-training to local communities, employers and international students. The College has earned a first-class reputation for training in hospitality and catering; health and social care; early-years education; customer service; business administration; computing; engineering; and digital media. Henley College’s £6million redevelopment has created a new entrance hall with exhibition space to showcase students’ work and a new block with 14 large classrooms and state-of-the-art conference facilities. Engineering students have moved into a new workshop and better facilities for student services and learning resources have been provided. Henley College Coventry’s new redevelopment has now been completed and was officially opened in March 2014. A third of the funding came from the Skills Funding Agency and the College funded the rest. BetweenGlassBlinds installed a number of their versatile and stylish tilt only, magnetically-operated integral blind units at the college, all units are hermetically sealed eliminating the accumulation of dust, dirt and debris and providing light control and a high level of privacy to the classrooms. Other benefits included optimised hygiene, excellent acoustic insulation, cord-free safety and the fact that they require no maintenance. The client specified that the magnetic operator was positioned at the height in which ensured ease of use for wheelchair users, this was executed without any issues. Opening the new facilities, Matthew Hancock MP, Minister of State for Skills and Enterprise said: “The thing I am most passionate about here is that the purpose of this building isn’t the building itself but the learning and teaching that will go on here for years to come. “From everything I have heard, this is about giving the local community the opportunity to get the knowledge and skills they need to get a good job. Thousands of students have come here, and many thousands will come here in the future and benefit from the facilities they need to succeed. Everybody – from the teaching staff to the people who do the accounts to make sure the college is on track –- pulls together to deliver for the people that they serve.